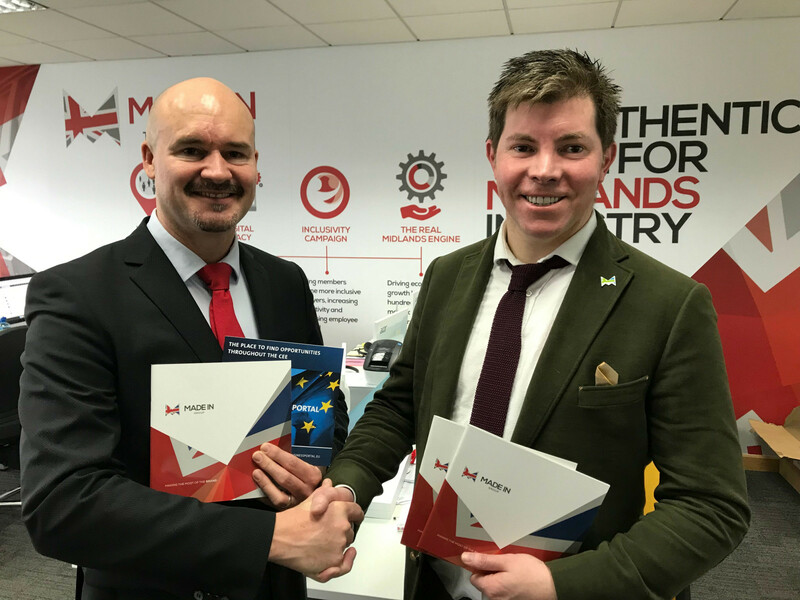 Made in Group hosted a visit from Christopher Plant, director of The Voice of Slovak Business and former CEO of the British Chamber of Commerce in the Slovak Republic to explore opportunities to develop bilateral relations between CEE) central and eastern Europe. A number of Made in the Midlands members including Clamason, Arlington, and JLR have ventures already in Slovakia and despite the obvious concerns around JLR investment in Slovakia, it is important that the UK has a strong presence in the EU. Members of Made in the Midlands and Yorkshire recently took part in an annual survey which was showed that more than 65% of members actively export to 122 countries, we also produced an international trade map of all of our members to show where in the world members trade. Ahead of the global uncertainty Made in Group is exploring ideas on how members can access markets more easily and widening the connection to knowledge from around the world. Jason Pitt said, "As a nation, we have arguably one of the best engineering sectors in the world, the fear of big companies leaving the UK for perceived low-cost destinations is really a fear born out of the sell-off of large UK OEMs over successive years. For the UK to prosper in a changing environment though we need to think globally and that doesn't just mean imports and selling off the family jewels, true bilateral relationships are based out of mutual value and it is those relationships we are interested in nurturing." Christopher, said, "I was honoured to be invited as a VIP to the Made in the Midland latest Membership event at East End Foods premises in West Bromwich. It was a classic example of a successful business opening up its doors to show the latest technologies in production and manufacturing in the UK exclusively to the Members of the Made in Group. There are only 10 Rice mills in the whole of the UK and seeing one in action was very interesting and to hear all about the humble beginnings of the company from MD, Roger Wouhra, A day well-spent meeting like-minded manufacturing business from the Midlands. Thank you to Mr. Jason Pitt, CEO of the made in Group and his incredibly hard-working team."